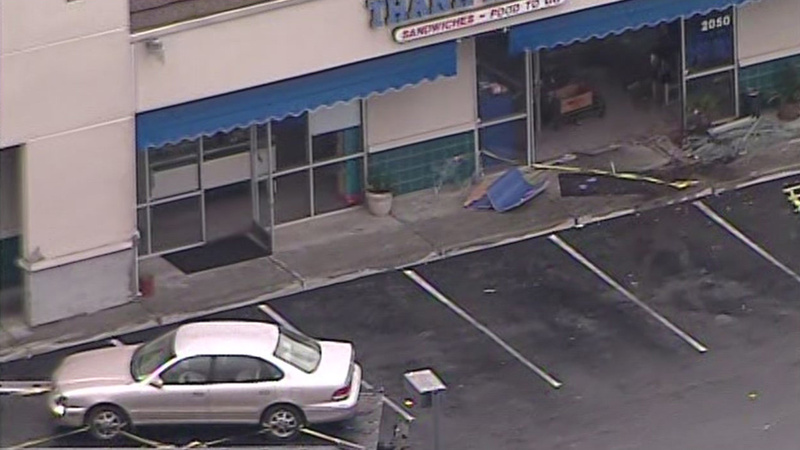 SAN JOSE (KGO) -- San Jose police are trying to figure out what caused a driver to slam into a restaurant. The vehicle went through the front window of Thanh Huong Vietnamese sandwich shop on North Capitol Avenue around 7:15 a.m.
No one was hurt and firefighters determined the structure is fine. Police say the driver of the vehicle is cooperating with the investigation. It's unknown if drugs or alcohol were a factor.